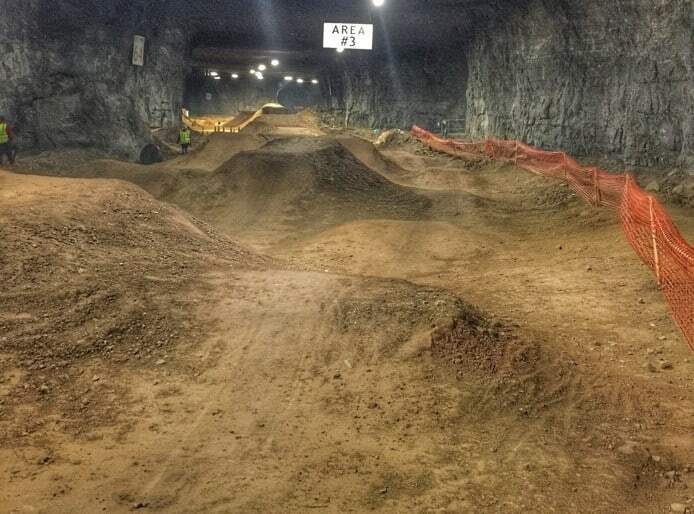 320,000 square feet of room to test out your biking skills and it’s all underground. This place is HUGE!!!! 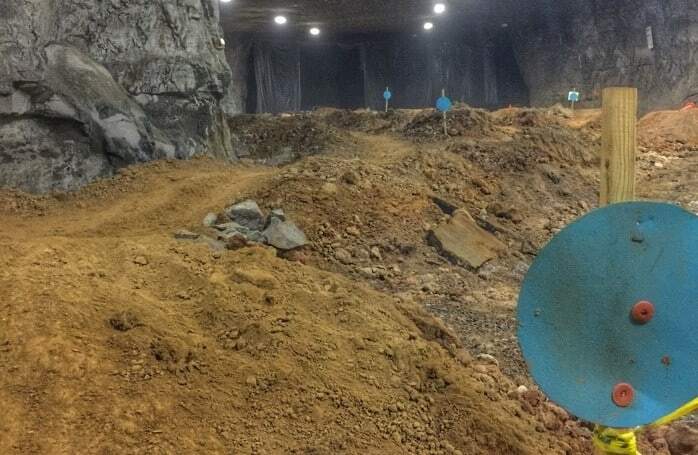 It’s seriously incredible to be in a space this large underground. 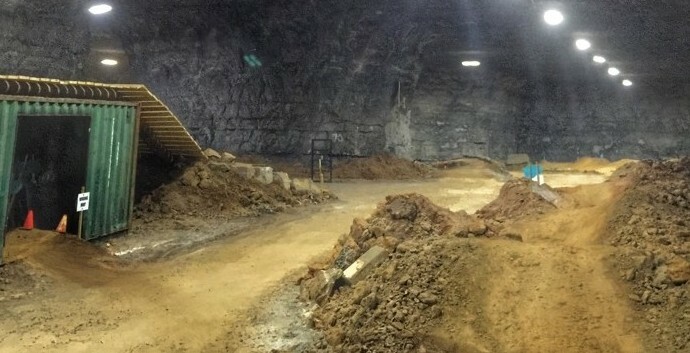 This former limestone cavern has something for every skill level. 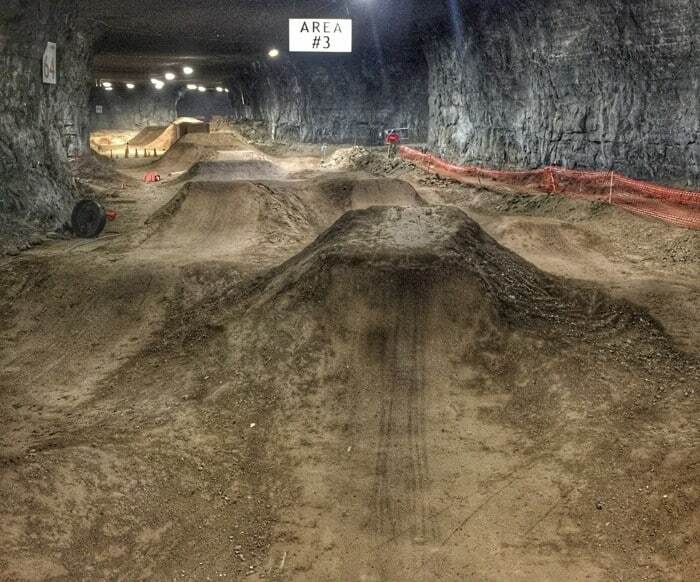 There are Jump Lines, Pump Tracks, Dual Slalom, BMX, Cross Country and Singletracks and 45 trails in over 320,000 square feet underground. 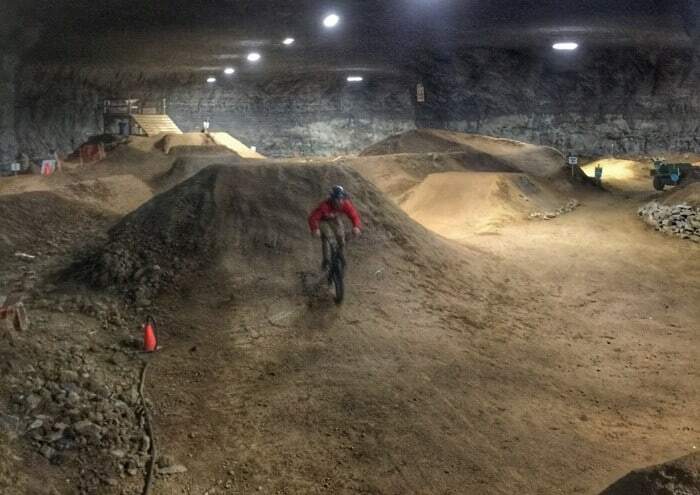 I was fortunate to have Jake Szybowski, who manages the bike park, show me around during my visit. He was even gracious enough to show off some of his sweet skills. 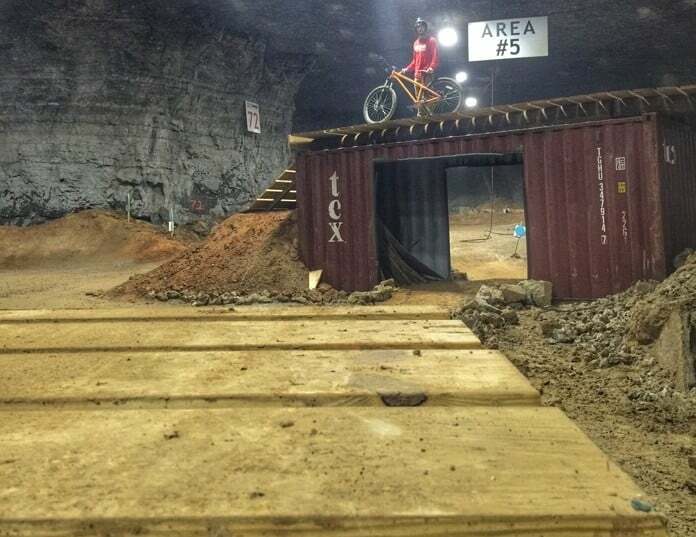 I observed Jake on a few runs on the jumps, but I felt no urge to try to imitate what I just witnessed. 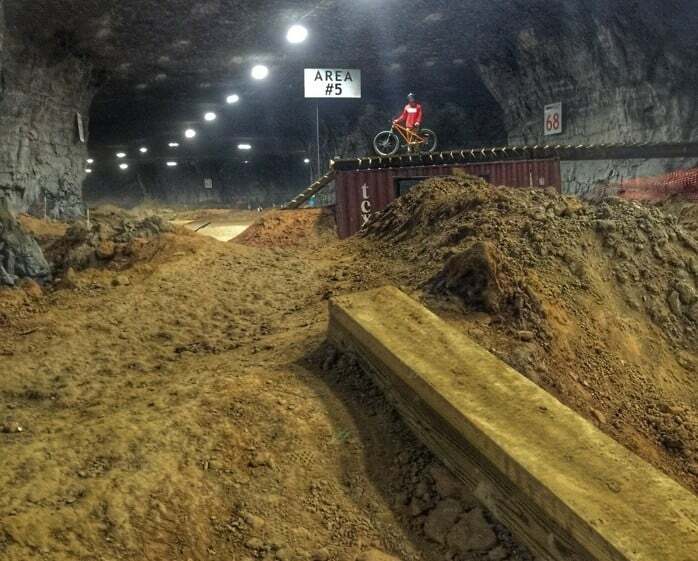 We’ll leave those skills to the pros! 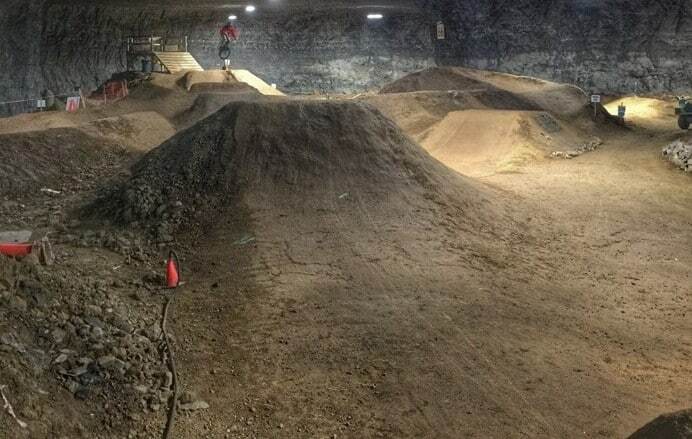 The bike park has several places where someone can develop their skills and progress in the level of difficulty. I really enjoyed biking on the trails throughout the park. 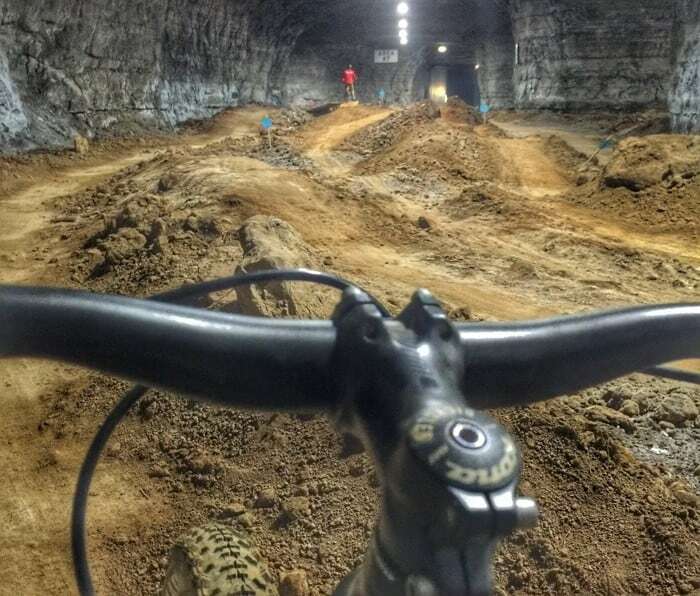 The beauty of being 100 feet underground is that weather is always perfect for riding. 3. 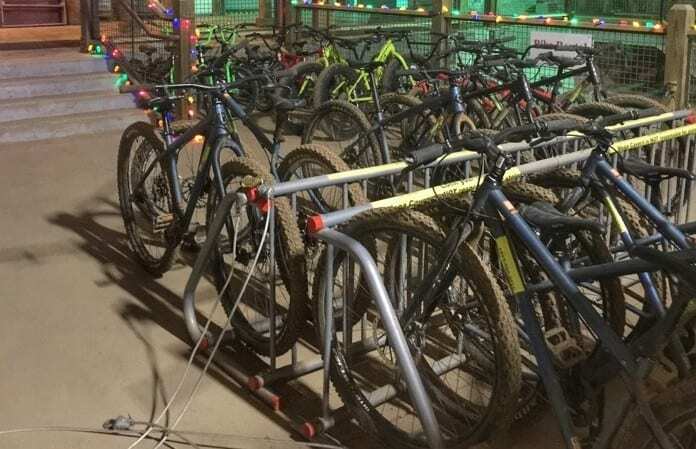 Bike rentals are first come first serve basis. 4. Select your bike rental based on your comfort level and what you want to do in the park. 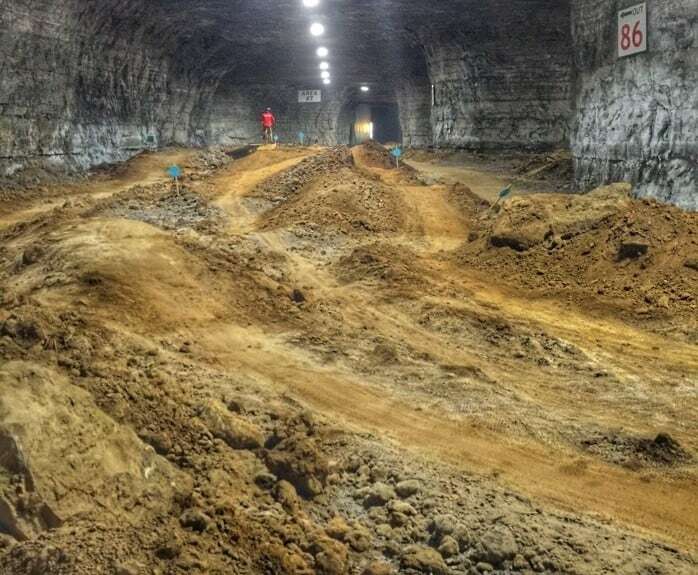 Trail riders will want something different than those who want to do tricks on the jumps. 5. 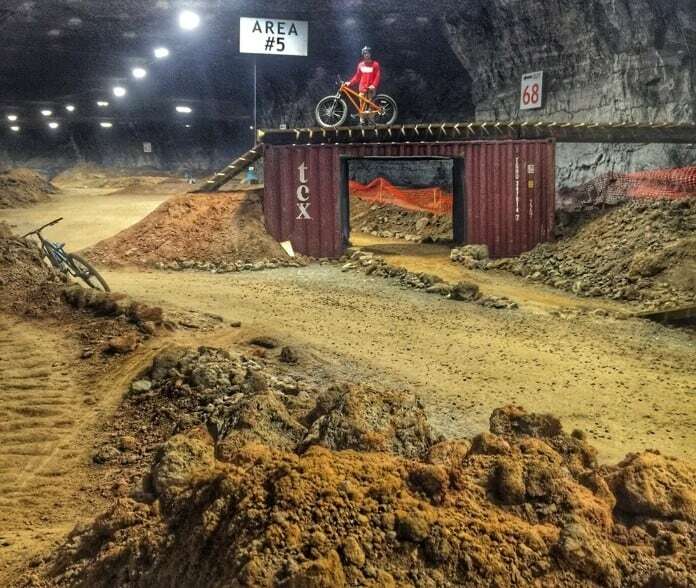 You can choose a Bike Park Pass for 4 or 8 hours. The more times you visit, the greater the discounts available. 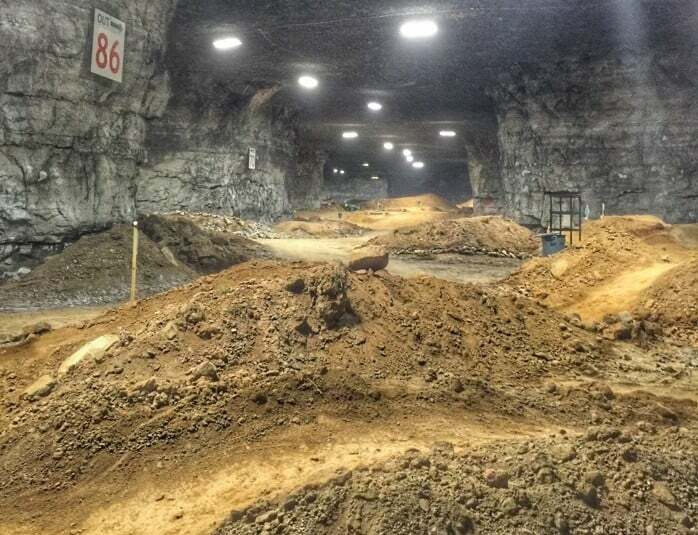 You are 100 feet underground and the temperature stays around 60 degrees. In the beginning, it might seem cool but you will become warm quickly when you are moving around. 7. 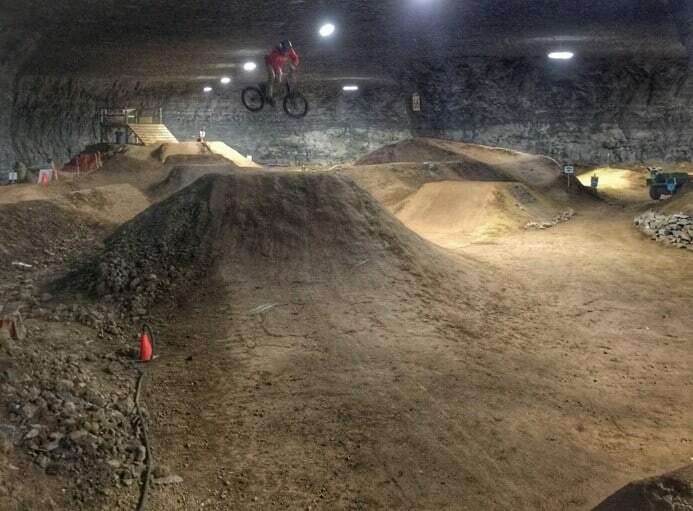 Only go to the bike park with people riding. At this time there are no spectators allowed. 8. If you are with non-riders, divide and conquer. 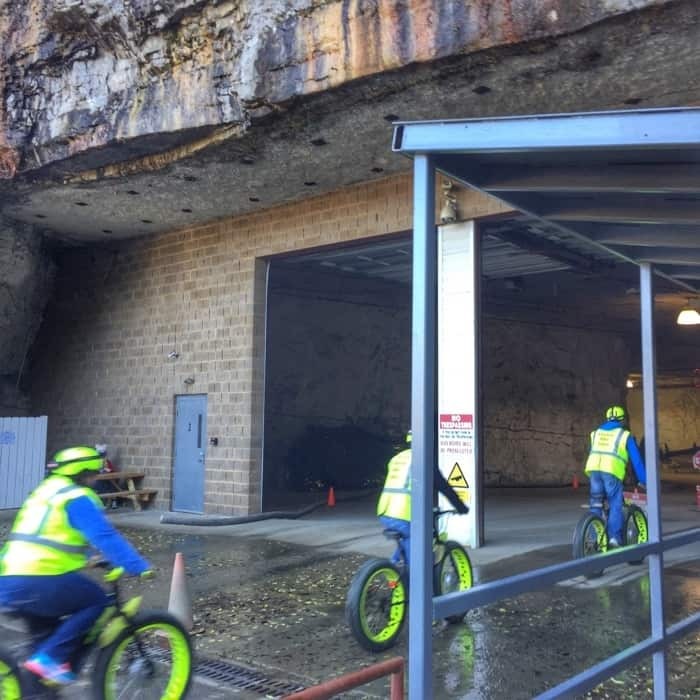 If you are traveling with a group with diverse interests there are underground tours, ziplining, and a ropes course, and electric fat tire tours available too. I would recommend getting reservations ahead of time. 9. 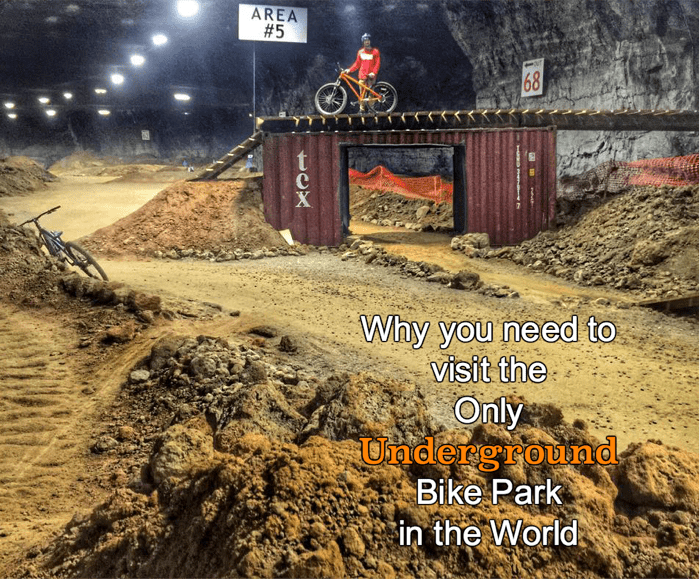 You must be at least 7 years old to ride and if you are under 12 you need to be accompanied by an adult in the bike park. 10. 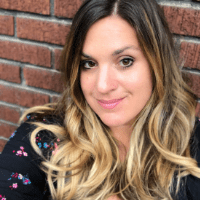 Have a plan for your cell phone. If you don’t have a protective case on it, I would not suggest bringing it to the park. I witnessed a cell phone that looked like a folded burrito thanks to a bad wipeout. Don’t let that be you. There are lockers available for rent. 11. 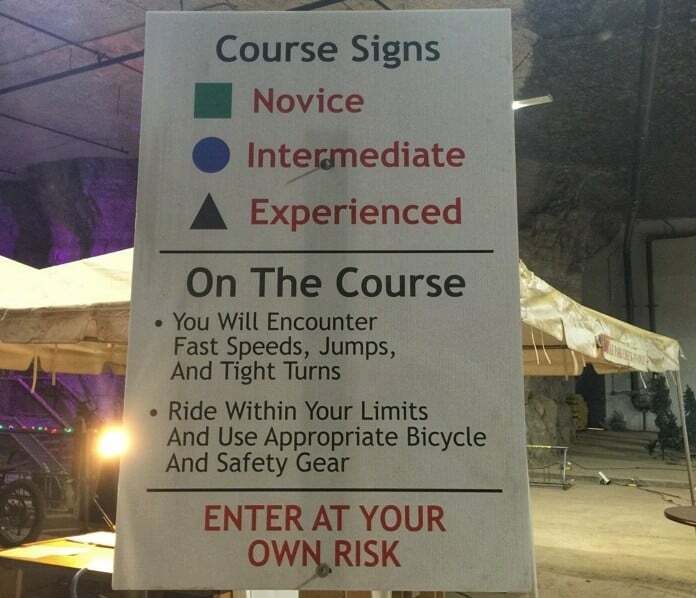 Look for the signs while you are on the trail. 12. 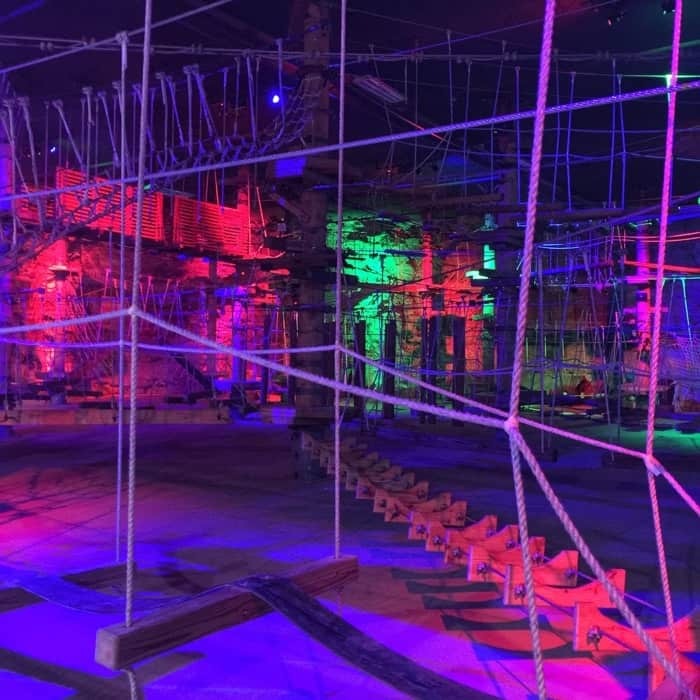 Step out of your comfort zone and have fun! 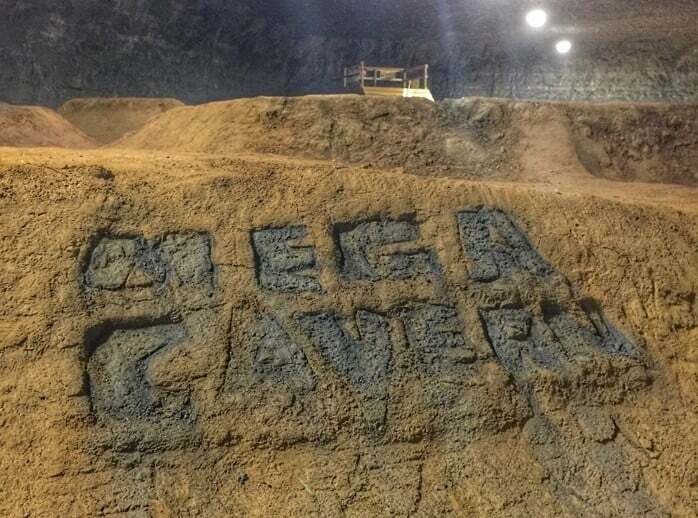 Thanks to Mega Cavern and Visit Louisville for hosting my visit. I can’t wait to go back! 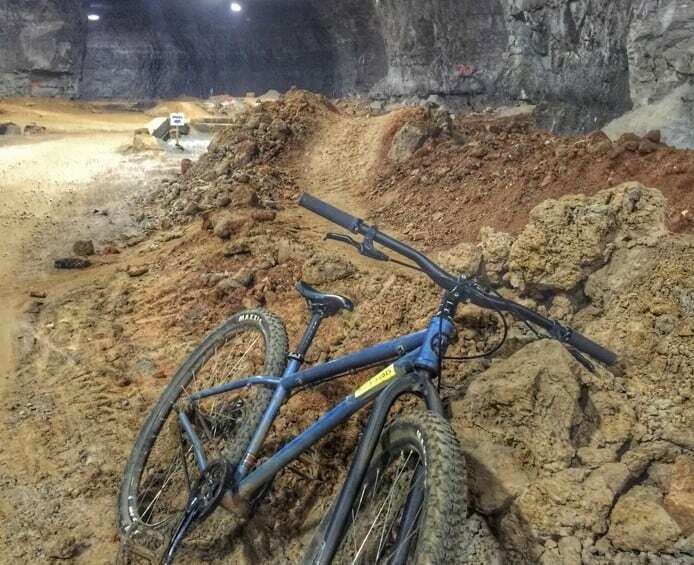 You can find out more information about the Underground Bike Park at Mega Cavern from their website. 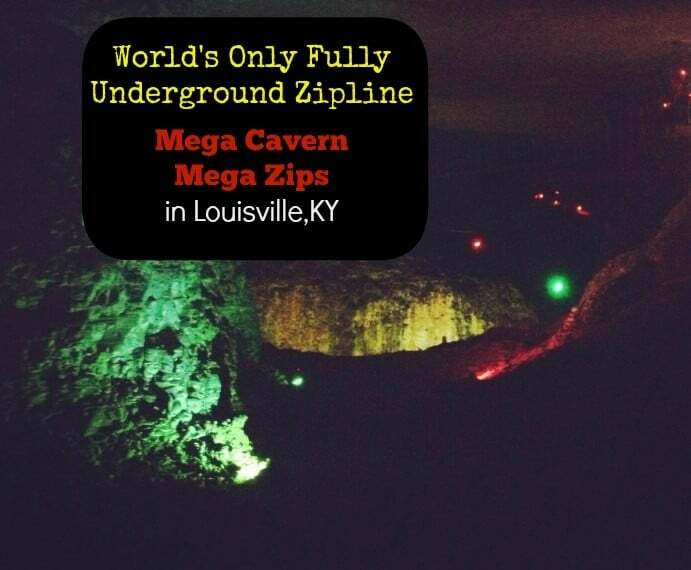 Louisville Mega Cavern is located at 1841 Taylor Ave, Louisville, KY 40213. Absolutely amazing place. If I ever get across the pond I’ll look it up!